A rising India wants a seat at the table of global powers—and with its huge military and growing economy, India is ready to set its own terms on everything from defense to climate to trade. Ayres considers how a fiercely independent India seeks its place as a leading power, and how the United States should respond. HAASS: Good evening, and our time has come to begin the meeting. And Our Time Has Come is, coincidentally enough, the name of this new book by Alyssa Ayres, and the subtitle is How India is Making Its Place in the World. So we are going to talk all things India, first just Alyssa and myself. And then, when I look around this room, we’re actually going to shorten the time we’re going to do because there’s so much expertise in this room, literally centuries of—Frank Wisner alone is centuries of expertise. (Laughter.) So just tremendous talent in this room, so I would be foolish not to quickly go to it. The meeting’s on the record. So anything said, Alyssa, can and will be used against you. Alyssa is the senior fellow here at the Council on Foreign Relations for I-P-S-A—IPSA: India, Pakistan, and South Asia—and she is a scholar-practitioner. Tonight you will see the scholarship side, but in the past she was the deputy assistant secretary of state for such issues. So, as I said, again, we’ll talk for a few minutes, and then we will open it up. So let’s start. I want to divide it into thirds, OK? HAASS: First of all, congratulations. AYRES: Thank you. Thank you very much. So Our Time Has Come is the sense that India has arrived. So let’s make the—what’s the case for it? What led you to think—because India had a little bit of the Brazil reputation; you know, India has a great future, and always will. And what is—what’s the case that led you to say that our time has finally come? AYRES: Well, this is a quote. This is a quote from two prime ministers—the current prime minister, Narendra Modi, and the previous prime minister, Dr. Manmohan Singh. And I thought that was an interesting encapsulation of the sense in India that over time they are now reaching a point where they really are emerging as one of the global powers in a multipolar system. HAASS: Do they—and is it just—do the facts back them up? AYRES: On the economic side, I would answer yes. It’s hard not to answer yes at this point. We’ve seen now that India in the past three years has been the world’s seventh-largest economy, so already in the world’s top 10, and that’s at market exchange rates. So no longer kind of future prediction. It now looks as if India is on track to become the world’s fifth-largest economy in 2018, surpassing the size of the U.K. and France. HAASS: But still after Jeff Bezos. But that—you know, that’s a very different kind of a position to be in. It puts India in with the global economic heavyweights. To answer your question from a lens of global governance, they are still on the outside of many of the institutions that are central to the way the world functions. So the answer would be no on that front. HAASS: OK. So let me challenge you. HAASS: —which you know all about, about—basically saying that the middle class, a lot of the statistics hide a lot of realities, that a lot of people may have come out of the most extreme layer of poverty but they’re still in poverty. HAASS: So, in a sense, Alyssa, let me just challenge you: Are you being—is this a glass-half-full approach when the prime ministers of India boast that their time has come? Has it really come yet? AYRES: Let me answer the question this way. Everything you said is true, absolutely. And I think what we are seeing now—the same is the case with China, which continues to struggle with many domestic problems. China still has, what, 30 million people living in extreme poverty. We don’t talk about that anymore. India is and will continue to struggle with its many domestic problems—your point about the infrastructure is absolutely correct—even as it emerges as a power with greater weight on the global stage. And I think that is a reason we need to start thinking about a different sort of response from the United States, adjusting the way we work with an emerging global power that doesn’t have the per capita income that we have, that has different needs from the world and its interactions with the world. HAASS: OK. So let me ask the question slightly differently: In five or 10 years, when you come out with the 18th printing of this book, do you think India will be materially different? Will it be more recognizable than not? Or do you feel that India is on a trajectory where we really will have to come to see India in very different terms? Let’s not—let’s put aside the foreign policy. HAASS: Just India qua India. Do we think that the GDP per capita will be fundamentally different, that the infrastructure will be fundamentally modernized, that caste will matter for less, that bureaucracy will be flattened? Do we—I mean, take a generation, even, 20 years. Do we—is there—what gives you or should give one grounds for optimism? AYRES: Well, I love your optimism about the 18th printing. Let me just say that. That’s terrific. (Laughter.) If I could only be so lucky. You know, I think my own sense is that we are likely to see the attenuation of this set of problems in the course of the next generation, the next 20 years if we’re looking out that far. When I look back at the India of 25 years ago, it is so different from the India of today. And of course the future is never a straight-line trajectory. It’s hard to make absolute predictions. But if India does continue to maintain high rates of economic growth, it has a real chance at lifting more people out of that extreme poverty, moving more into the middle class, making those improvements to its infrastructure that it has been so sorely needing to do. In fact, the infrastructure is much better now than it was 25 years ago, even though it needs to continue building much more; the finance minister has said $1.5 trillion over the next decade. HAASS: Yeah, I would hope their airports are better than LaGuardia. AYRES: Right, exactly. (Laughter.) I mean, you’ve focused on this a lot, about our challenges at home. But I think it will look at lot different than it looks today. HAASS: You talked about maintaining high rates of economic growth as one of the critical prerequisites. You know, Larry Summers and others have pointed out as economic growth happens it’s harder and harder to maintain high levels, as your base gets higher. You’ve picked the low-hanging fruit. It’s very hard to pick low-hanging fruit two and three and four times. And we’ve seen it in China. And I don’t believe the official statistics, so real economic growth in China is considerably lower than is said, and even some of that is because of massive state infusions of capital. Is India close to having picked the low-hanging fruit, or is there a lot still there? AYRES: Boy, India has not picked off all the low-hanging fruit on the reform side of the ledger. So I would hope that, with continued reform, they have opportunity to keep picking up—you know, making time on the years that they have lost. I am not an economist by training, so it’s hard for me to answer that in a credible way. But relying on what I have read of other economists and people who have looked at this issue, I mean, India does stand a chance, if it can carry out the reforms that are still needed, of realizing this ambition. Of course, it’s an ambition. AYRES: You know, things may fall a little short. But it is fundamentally in a different place than it was even 15 years ago. HAASS: How much of India’s current success is because of the singular personality and political position of the singular prime minister? Once Mr. Modi is no longer prime minister, do you worry, or not, about the ability of someone else to rule India with, shall we say, such direction? AYRES: Yeah, what I worry about most of all is the case of a coalition government in the future. That is what—coalitions squabbling amongst themselves with no clear consensus on reforms, on foreign policy, is what has hobbled India in previous years. My own personal view—I write a little bit about this in the book—is that Mr. Modi is building on the initiatives that were put in place by the previous government. So if you look at the manufacturing initiative, if you look at a lot of the foreign policy outreach, it really is building on what happened previously. So I don’t think there’s a huge shift in direction. I think it’s this sort of acceleration of the same direction. But I would worry if there was a sort of new leftist coalition that comes to power, and people cannot agree on what to do, and then you end up with a sort of stasis. That would be a real concern. HAASS: You know, Americans have all sorts of preconceptions about India, many of which are, shall we say, sorely outdated. What do Americans most get wrong about India of 2018? AYRES: Both a country facing tremendous domestic challenges, as well as a country that is emerging as a major force in the world. Just a quick example. A short excerpt of my book was published online in The Atlantic, a piece that looks at India’s auto industry as an example of where it has had great success in manufacturing. All of Indian manufacturing is not a success story, but the auto story is. Boy, the comments, you know? And I’ve been advised not to look at the comments, but I did look at the comment section, and I’ll tell you almost all the comments that people contributed there were things like “but there are still open sewers in India.” It was as if that negated everything else that has been accomplished in the automobile industry. HAASS: So you can have an India Bangalore and an India where half the people on the planet who don’t use toilets are in one and the same country. AYRES: Absolutely, right. Half is better than the 60 percent who didn’t have toilets of 2012, so there’s improvements there. HAASS: Let’s talk for a few minutes about foreign policy, Indian foreign policy. HAASS: We’ll come to U.S.-India relations last. Let’s talk about Indian foreign policy. For decades and decades, many of us who toiled in the Indian vineyard had to deal with, you know, protestations of nonalignment, which looked an awful lot like a tilt towards the Soviet Union, be that as it may. How much has India outgrown that, given the people who make foreign policy, the people who populate their ministries, the academics? To what extent does India have a fundamentally different, serious view of itself in the world? AYRES: I’m so glad you asked this question because it’s critically important to the way India thinks about how it should strategize its foreign policy. India has moved from this period of nonalignment—and many of the concepts of nonalignment remain very important: the idea of nonintervention, the importance of sovereignty, not commenting upon domestic affairs in other countries. The previous Indian government also talked about a concept of strategic autonomy, meaning don’t get entangled in relationships that could reduce India’s freedom of choice or action. The present Indian government has stopped talking about strategic autonomy. They don’t use that term. Prime Minister Modi did not go to the NAM summit, which was a big departure from the past, as if he were saying it wasn’t going to be something he wanted to attend. AYRES: Yes. Yes. He’s all for manufacturing. HAASS: Why would—can I interrupt you a second? Why would—here’s India, a country of, what, 1.3 billion people, soon to be the world’s fifth-largest economy, soon to be the world’s largest country in terms of population. What in the world would India see in Russia, this country of 140 million people who don’t have a modern economy? Isn’t that a perfect example of India still having a hangover from the Cold War? AYRES: I agree with that. But I think if you were to ask many people in New Delhi, they would say that Russia is a longstanding friend, it has been very supportive of Indian interests, and it’s a very important defense partner. HAASS: OK. What about protectionism? You had, yesterday, the ironic—you know, last year Xi Jinping goes to Davos and talks about China’s embrace of globalization, which shall we say was slightly less than convincing. And yesterday you had Mr. Modi give the first big keynote of Davos, talking about openness to globalization. And, shall we say, protectionism is alive and well in New Delhi. What’s going on here? AYRES: So that’s absolutely right. You know, my own take is that I think he modeled this Davos intervention off the Xi Jinping speech from last year and then decided to kind of add one more layer to it, which was the importance of democracy, which China cannot talk about on the world stage. But it’s absolutely correct. I mean, for India to present itself as a champion of taking down walls, not building up walls, while anybody who has done business in India realizes that there are continued challenges to doing so—let’s just say there’s more to do. He did make a nod in his speech about the importance of economic reforms to India and that they would continue to pursue them. HAASS: Let’s talk about what some of us think is the Achilles’ heel of India’s foreign policy relationship with the world, or ball and chain, or whatever you want to call it, which is Pakistan. And the question is, here’s—India sits next to this country with, what, the world’s fastest-growing nuclear arsenal, more terrorists than one can count, the thinnest of veneers of civilian government. This relationship is less developed, shall we say, than the U.S.-Soviet relationship was at the height of the Cold War. To what extent do Indians appreciate just what a problem Pakistan potentially is for them? And to what—and, if so, why aren’t they—why don’t they seem to be doing more about it? AYRES: So your question has two good parts. I think that everybody appreciates the importance of the challenge that Pakistan poses. The question of what to do about it is a separable question. AYRES: You have seen recent Indian governments try the hand of friendship. And over the course of the last 15 years, I think across parties in India, I think people feel that they have been burned. Every time they extend the hand of friendship and engage in some kind of ongoing dialogue, there will be some terrible terrorist attack, for which nobody is ever brought to justice. The perpetrators of the Mumbai attacks, for example, the trials continue on. Nobody is ever brought to justice. HAASS: I can’t resist asking you: If there were to be a repeat of the Mumbai attack, do you think Mr. Modi’s India would turn the other cheek, or do you think they would retaliate? AYRES: Based on what we saw with the surgical strikes of the previous year or the year before last, I would not expect a completely passive response. I would expect something measured, but much more active. HAASS: So they would retaliate? HAASS: And are you in any way optimistic about the trajectory of Indo-Pakistani relations, given the government in Pakistan and the government in India? AYRES: I am not. And that’s actually much more because I am very pessimistic about the trajectory in Pakistan than I am about India’s trajectory. HAASS: Let me ask you about India’s relationship with one other neighbor, which is China. AYRES: Yes. I was hoping you’d ask. HAASS: And, you know, it wasn’t that long ago that they were having problems on the border, and then it seems to have faded from the news. What is your sense about their ability to work out a relationship? Or, as some people think, are they on something of a kind of—I wouldn’t use the word “collision course,” but they’re going in different directions in the sense that India’s aligning more with us, China’s aligning more with Pakistan, China and India are looking at each other warily in terms of Asian competition. To what extent is this essentially a competitive, if not even Cold War-like relationship in the making? AYRES: Yeah, it is—it is a Cold War-like relationship in the making. I mean, they—India and China have had a strong commercial relationship, but that is increasingly less satisfying for India, for many of the same reasons the United States is dissatisfied with its trade relationship with China. And for a while, that sort of offset the strategic competition that was in the background. But there are ongoing incursions across the un-demarcated and the line of control. The standoff in Doklam last year—which was actually not India-China disputed territory, but territory disputed between Bhutan and China. India went in to defend Bhutan’s interest. I think you see India concerned about the increasingly larger presence that China is establishing across the Indian Ocean, with a base in Djibouti, its deep relationship with Pakistan, with Sri Lanka, the Belt and Road investments. HAASS: India’s not too—its participation in Belt and Road, shall we say, is rather finite. AYRES: It is nonparticipation, exactly. (Laughter.) In fact, it’s been very public with its objections. India objects to nontransparent loan terms, which in the case of Sri Lanka, as people are probably aware, has resulted in trading equity to pay off the debt. HAASS: Last but not least, let’s talk about the United States-India relationship before we open it up. Just want to get one or two things on the table. What word would you use now to characterize that relationship? AYRES: Oh, I wish you’d asked me this earlier and I could have thought a little bit more about the word. I would say on the upswing, upward trajectory. HAASS: OK. Well, let me—let me push you, then. It’s not an alliance. AYRES: It is not an alliance. HAASS: Could it be one day? AYRES: I do not believe it could be an alliance. I have argued in the book, something that grew out of our U.S.-India Task Force, which CFR sponsored in 2015, that we should really be thinking of this relationship more like a joint venture, where we have sort of areas of strong cooperation where we will be able to partner together. We’re going to have some areas of disagreement, and we will continue to do so. HAASS: And have India and the United States learned to manage those areas of disagreement so they don’t infect the areas of potential cooperation, or not yet? AYRES: We have not been able to adequately manage the areas of disagreement, which very often tend to be in the economic sphere. Those can very easily affect the tenor of the relationship. You know, members of Congress who have some concerns from their constituents, and that can result in, let’s say, letters to the prime minister or public statements, and it can immediately cause a sort of change in the mood. We’re not yet there. HAASS: To what extent—a lot of the pro-India people in the strategic community see India as a partner against China, to be blunt. They see the United States increasingly having to deal with a rising China. The word “containment” is sometimes used, or something that seems to effectively mean it. To what extent is it realistic or not for the United States to think about formally, or more likely informally, enlisting India in something of a pushback against China? Or—I’ll just leave it there. AYRES: I think India is going to be highly unlikely to be enlisted in something framed as a U.S.-led effort to contain China. That is not what India seeks to do. It seeks to defend its own interests. It seeks to uphold the liberal world order. India has been a big supporter of global norms, of freedom of navigation. But it also partners with China in many arenas. The AIIB, the Asian Infrastructure Investment Bank, India is the number two capital contributor. The BRICS organization went from being just an idea in a research paper to being a real institution. India is very active with that. They’ve created their own development bank. India became a member of the Shanghai Cooperation Organization. It’s hedging its own bets as global governance reform lags on in the 20th-century institutions. And so where it has put some of its eggs in the new organizations basket, if you will, it has partnered with China on that front. HAASS: OK. Just one or two last questions. You know, Mr. Trump makes a lot about personal relationships. So what’s your sense of how Mr. Modi views both Mr. Trump, but also the United States—this administration, you know, with “America first,” getting out of the TPP, and so forth? What is India’s take of Mr. Trump’s foreign policy? Are they—are they comfortable? Do they like what they see? Are they uneasy about what they see? AYRES: They are uneasy about economic protectionist measures, particularly the issue of high-skilled worker visas. But they are very comfortable with the Trump administration’s approach to Afghanistan and Pakistan. So those kind of positives and negatives kind of weigh each other out. HAASS: What’s the phrase this—is it the Indo-Pacific? What’s the phrase? AYRES: There is a very welcome phrase. (Laughter.) So in fact, it’s a welcome phrase in Japan, and Australia, and in India. So that gives India a kind of stake, in a way, of being part of this larger region that it doesn’t have if we’re only talking about the Asia-Pacific. India’s kind of tacked on if we’re talking about the Asia-Pacific. Whereas, it’s a core, central geographic fact of the Indo-Pacific. HAASS: Last question, which is a prescriptive one. If Mr. Trump were to call you tomorrow and say: What should we be doing with India that we’re not doing, or do different with India, what would be—what advice would you give him? HAASS: What does that mean? AYRES: That means that one of India’s concerns, and a space where India is not in the same place on the world stage as China, is in global institutions. So if you think about the U.N. Security Council, India is not a member. The world’s largest democracy, fifth largest economy, to be an enormous contributor to peacekeeping. But it doesn’t have a permanent membership in the Security Council. And they have been agitating for this for at least a decade, but no closer to reform than 10 years ago. The United States has pledged its support back 2010, but there’s no real movement on that front. Or take APEC. How do we have an Asia-Pacific Cooperation Forum that’s missing a major Asian economy? It really doesn’t make a lot of sense. If you were to design these institutions today, they wouldn’t look the way they do now. So the United States can actually be uniquely helpful on that front. That’s where I would recommend changing direction. We have not been active on that front yet. HAASS: OK. As you can see, you are in the presence of someone who seriously knows her stuff. So anything is fair game. So just wait for the microphone, introduce yourself, and ask Alyssa a question. Sure. Wait for the microphone. Q: My name is Larry Bridwell and I teach international business at Pace University. I have many students from India. About 20 years ago, I went to an event with Amartya Sen, the Nobel laureate. And I was shocked when he said that he was disgusted and ashamed by the central government of India, where you have a situation that every young girl in China gets a quality education and that the girls in India were not getting much of an education and the government—central government of India was doing nothing about that. So what would you say is the future of the young women, young girls in India, in the context of the federal government? HAASS: I’m going to slightly piggy back on that. How have things changed over these 20 years in terms of public education and the access of girls to education in India, and where is it heading? How much better or not are things than they were? HAASS: Can you say something about why—pardon my ignorance on this—what holds women back? Is it discrimination against them? Or do women hold themselves back in part because of cultural norms. What explains the low labor participation rates for women in India? AYRES: Since these statistics came out from the International Labour Organization, there’s been a lot of economic work trying to provide an explanation for this. Some explanations have been that there are, you know, legal barriers and challenges to women worker. Some explanations have been that as household incomes, prosperity rises, some women opt to remain in the home instead of having a two-income family. So there are some competing explanations for this. But either way it’s a challenge for the economy. HAASS: Ambassador Wisner, who as everyone, I think, knows was our representative in New Delhi and many other places, and has served this country. We’re lucky to have had him all those years working for the United States government. Q: Richard, thank you. I’m very flattered. HAASS: Has the virtue of being true. Q: Alyssa, it’s a splendid book. And having had the privilege of reading a great deal about India in the modern age, I really strongly recommend it to anyone who wants to think hard about particularly the United States and India. That said, I want to ask you a particular question. I have watched in the—this period in which our relationship has come together, time and again—Clinton, Bush, Obama—each of these successive administrations has stepped forward, put its hand out to India, and expected to make major breakthroughs. And virtually every administration has ended its time in office with a strong word of disappointment. What do we get wrong about how we approach India? What assumptions do we put on the table that are mistaken? And what tactics do we pursue that means there is a level of disappointment in the engagement we seek? AYRES: Thank you for that. And I have to say, Ambassador Wisner was one of—gave me my earliest start in thinking about U.S.-India relations and U.S. foreign policy toward India. So I have to say a special thanks to you. Thank you for that. I thank him in the end of my book. He’s been so important to my own thinking about U.S.-India relations. You know, one of the problems that we continue to have is this expectation that we will have a major breakthrough. For years now, since the nuclear deal, people have been asking, well, what’s the next nuclear deal? What’s the next big idea in the relationship? And I’m not sure we’re going to have a next big idea. But when you look back at the progress that has been made incrementally, it’s actually quite profound. And even the nuclear deal, where there were some serious disappointment, particularly on the commercial side, for a variety of reasons including problems with India’s nuclear liability law, and then a later bankruptcy of Westinghouse, which has nothing to do with India. But there is actually some pretty significant progress in terms of India’s entry into the global proliferation—nonproliferation regimes. They have now become members of the Missile Technology Control Regime, the Wassenaar Arrangement, and the Australia Group. Could you have imagined that back in 1995, ’96, ’97, when you were ambassador? I mean, so that is a quantum change. But each step in that process, I’m sure, was filled with people saying, why is this so hard? Why does this take so long? So I think it’s a case of having to manage our expectations in a different way, and being willing to accept that incremental progress can still actually bring about some significant change. HAASS: Yes, ma’am. Ms. Mody. Q: Seema Mody with CNBC Business News. Alyssa, good to see you. There seems to be a contradiction in Prime Minister Modi’s make in India campaign, touting India as a viable destination for foreign companies and multinationals, yet some of the world’s most powerful companies—like Apple and Walmart—have been challenged with their efforts to expand in India due to taxation, FDI rules. Do you see that changing? The government relaxing some of those rules? AYRES: They’ve just done a foreign direct investment relaxation on retail. Let’s see if that makes it easier for some of the companies that you just mentioned. But you’re right, there is a contradiction. There’s a contradiction in a lot of these localization efforts. We’re about to see a contradiction in the United States to. But the idea of encouraging foreign investment while also trying to make sure that there are significant protections, there is an inherent contradiction there. This is being done to try to increase the percentage of India’s economy in the manufacturing sector, and also to create jobs. But I think we are going to continue to see that contradiction. India’s got a series of regulations and laws on the books that don’t make it easy in a variety of different sectors. And every time reforms take place, it’s not a kind of broad sweep—let’s make everything easy. It’s incremental. It’s changing an FDI cap from 26 to 49. Frank can write the book on how that happened in insurance. But it’s not saying we’re going to remove all restrictions and make this easy for everybody. HAASS: Can you say something about India’s population, about how fast it’s growing and to what extent does this now increase—because it’ll be the world’s most populous country in a year now. To what extent is it an asset or a burden? AYRES: India’s demographics give it the potential to have a major asset of a large cohort of young people supporting a relatively small retired population. So that’s what people refer to as the demographic dividend. There’s a big caveat on that, and that is there needs to be jobs for the young people who are coming of workforce age. India needs to generate about a million jobs a month to accommodate those coming into the workforce. There are issues in India measuring job creation. So that’s a huge economic debate right now. But most recent data suggests that India is not keeping pace with the number of jobs it needs to create each year for its population. There is a related issue which is, do people have the skills they need to move into jobs that are available? And that’s another major issue. So successive Indian governments have been focused on this idea of skilling and trying to create skills-training institutions to better prepare the workforce for the jobs that are and will become available. Q: Congratulations, my friend, first of all. HAASS: Vishakha, you have introduce yourself. Nobody here knows you. Q: Oh. President emerita Asia Society, now at Colombia University. And we can claim Alyssa before you could claim her, because she started at the Asia Society. Q: But, of course. Always that competition. I was thinking about your title. And clearly, that sentence that Prime Minister Singh mentioned was a long time ago. The aspiration of India to be a global player has been there for a long time, at least I would say 15 years. What makes you feel that it is now no longer just an aspiration, but more of a reality? As our friend Marshall Bouton often used to say, that India was always this potential of a great place, a great country, a great global player. And it somehow ever quite became the reality. But you seem to suggest that now there is a greater sense of that reality. Is it because you feel that as how we look at India’s problems, challenges and India’s achievements differently that would suggest that this is the incremental growth, but always on that path with the 18-wheeler truck that, slow but steady, is going to continue in that direction? What changes for you? AYRES: Well, we spoke a little bit earlier about the economic story. And my book is not limited only to economic issues, but that’s a big piece of the story of India’s change in the last 25 years. And I think if you were to ask anybody in 1992 where they saw India in, you know, 2020 or 2018, the world’s fifth-largest economy might not have been on that list. I mean, that’s really quite a transformation. There is something else happening right now on the foreign policy front. And your question gives me the ability to answer it with this, which I think is important. You suddenly are seeing now in India this desire to pay a more active role on the global stage. The present Indian government has started calling itself a leading power. This is a new term. They created this term to describe not quite a great power, a power in the making, a country that seeks to become more active and do more on the global stage. If you look at the speeches that the foreign secretary has given on this front, he has talked about India previously having been a defensive power, a balancing power in the world stage, and that given the economic heft and their growth isn’t it now time to become a leading power and more actively shape events around them? That’s telling me something. And if you look at what has transpired in the last couple years, you do see—in some contexts not all; in many contexts India remains a balancing power. But in some contexts, you do see India stepping up, like on climate change, creating the international solar alliance with France, becoming a more vocal voice about freedom of navigation in the South China Sea, about a free and open Indo-Pacific region, being ready to be on, you know, the frontlines of the quad—not an alliance, but being ready to be part of this quad, this free and open Indo-Pacific conversation. I do think that’s a little bit different than things were before. Q: Hi. I’m Philip Ellison (sp) from Grapevine (ph) Development. I’m from the private sector. Q: One of the things that—(laughter)—yeah. Q: As you know very well, 50 years ago Norman Borlaug and the Green Revolution turned India from a net importer of food to an exporter. Yet, India is still today a monsoon economy. Now, what is the government doing, and are they doing it actively, to build reservoirs, to build the infrastructure to ride out those issues of climate change and everything else that we all fear will come cataclysmically before we know them? AYRES: Oh, gosh, I’m going to get the acronym wrong. It’s one of the international institutions, this happens to be based in India, that looks at agriculture in the semi-arid tropics. They are working on all kinds of different crops that could be replacing monoculture crops—development of millet, for example, instead of just corn or rice or wheat. Successive Indian governments have looked at this issue of river linking. I do not know where river linking stands. HAASS: What is river linking? Sorry. Q: Our Erie Canal sort of thing. AYRES: Yeah. But you’re right, it’s a real challenge. It’s a challenge because there’s such variability. And climate change introduces even greater variability for monsoon-dependent agricultural economy, because not only is there unpredictable rainfall, but there can be unpredictable droughts or floods. And these can all be quite devastating to crops. So could they be doing more? Certainly. Of course. This is a challenge that everybody is facing. It’s actually an area that has been one of collaboration within the United States. Our National Oceanic and Atmospheric Administration set up a—what was called a monsoon desk to provide satellite information about the climate and work with an Indian organization to be able to provide that information and get it out to farmers, so they could think more about what was coming down the pike. HAASS: Can we erase climate? Let’s look at it through the other end of the telescope, not the impact of climate on India, but the impact of India on global climate change. If you’re talking about, I don’t know, 500 million people who over the next 10 years are going to start driving automobiles, we’re all going to pay a price for it. So say something about the role of climate change and India’s sense of responsibility to the extent—as opposed to saying, look, we got to grow no matter what. Sorry, you guys, when you were growing you weren’t thinking about climate change. Don’t ask us to worry about it now. Where’s their head at on this? AYRES: This is an area where I think you’ve seen a big transformation in India’s diplomacy. The stance that you just described is exactly where India was for many years, until the 2015 Conference of Parties in Paris. And the India that went to that negotiating round was just a different India. That India stood up and said: You know what? Climate change and adjusting the way we grow and develop is important, not because some Western countries that have already developed and are trying to tell us to reduce our emissions. It’s important not for that reason, but it’s important for our own sustainability, for the country and the world that we will leave to our next generations. So that was kind of a profound shift in negotiating stance. HAASS: OK. That’s talking the talk. Do you think they’re actually going to walk that walk? AYRES: They have embarked upon one of the world’s largest renewable energy deployments. So the previous India government created a National Solar Mission. The current India government has amped up its targets. And they are on track to meet those targets. So that’s quite important. They are expanding and diversifying their energy sources. They are going all electric on vehicles, what, by 2030? Somebody else might know the date here. I hope I’m not wrong on that. But 2030, so that’s an important change. It’s going to affect the global auto market. HAASS: OK. All the way in the back. Yes, ma’am. Q: Alyssa, congratulations. My name is Shyama Venkateswar, Roosevelt House, Hunter College, and former colleague of Alyssa’s from Asia Society. HAASS: The claque at the opera here. Q: Alyssa, as a native of India, having born and brought up there and many, many frequent trips, I don’t share your optimism. And I think we need to talk about things other than the transfer of global capital. So whether it be questions around violence against Muslims and minorities, or urban poverty and the lack of infrastructure, or whether—continuing gender parity questions. And with the World Economic Forum going on, I think it would be appropriate to talk about the gender parity report that comes out of the World Economic Forum as well, which lists India pretty low on their labor participation, on their political participation, safety nets questions, violence, and a couple of other measures that exist. So my question to you is, when you’re assessing India on a kind of net-net basis, are these issues not of relevance when we are simply looking at the transfer of global capital? AYRES: I write quite a bit about this in the book. And, of course, in this kind of a discussion we can’t talk about everything all the time. But for me, what I think is a central fact and feature about India’s change and the transformation of its global role is that it is changing the way it interacts with the world, even as it continues to have enormous problems at home. India has had enormous problems at home, as you know very well. Some of these have gotten better. Some have gotten slightly better, but not where you’d like to see them be. And I think that having the ability to recognize that both conditions exist at the same time allows us to see that India is changing what it does internationally, even though there’s still a lot of work to do at home. I mean, one of the things that I thought was so interesting about Mr. Modi’s speech at Davos yesterday was the invocation of unity and diversity as a distinguishing characteristic of India—setting India apart from China, from the non-democracy in China. And that’s of course, absolutely true. But it’s also true that India does not necessarily have the most harmonious of conditions at home all the time. 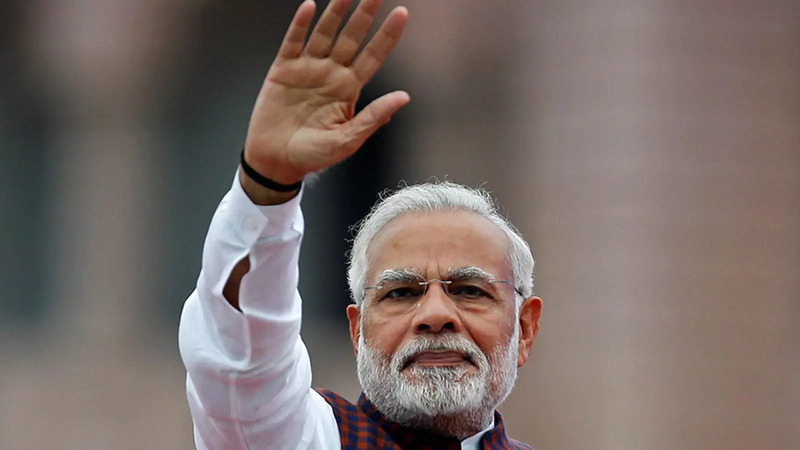 So I just did a short piece for our blog here at CFR, for the Asia Unbound blog saying, you know, he actually should give this speech at home more often about the strength of India, its unity and diversity. But you’re right, it is—it is not as if talking about the transformed way that India interacts with the world means that somehow everything is fixed at home. I’m not saying that at all. But I am saying that if we are looking internationally, India is now doing some new and different things. AYRES: Thank you. Thank you. Thank you.